Awhile back I went to the Railroad Museum in Sac and saw some books on Orphan Trains. My interest was totally peaked and so being the cheapskate I am I went online and looked for the books at the library (they had several) and watched a couple You Tube videos. I also found some interesting websites dedicated to the Orphan Train Children. The Orphan Train Movement lasted from 1853 to the early 1900s and more than 120,000 children were placed. This ambitious, unusual and controversial social experiment is now recognized as the beginning of the foster care concept in the United States. Can you imagine you and your siblings first of all either having your parents die or having your parents turn you in for "a better life" and then being loaded on a train to somewhere you didn't even know existed. Then when you get there you're examined and talked about and then separated from all your siblings? It's so unimaginable to me. Although I guess that still happens in this day and age except now it's a car that takes you to someone's home. We've all heard horror stories about Foster Care Homes (White Oleander anyone? BTW one of my favorite books). I'm sure there are plenty of happy Foster Care stories too. This is a small picture story book with real imagines from the Orphan Trains. Very informative. I love old pictures anyways so I was totally into this book. Is a (historical) fiction book. It's also a Christian book, which I didn't realize when I put it on hold but it's all good. This book follows the story of three siblings who became orphans when their parents died in a fire. I don't think it's very "real" but it's a nice story. This book was fantastic! I started reading it and put it down when I was done. I really enjoyed the whole story. I hadn't read the other two books in the series (didn't even realize it was a series when I got this one) but that didn't seem to be a problem at all. Laurel is taken to an orphanage by her mother, who has tuberculosis and has to go away to a sanatorium to get better. Her husband has previously died and she has no one to take care of Laurel. 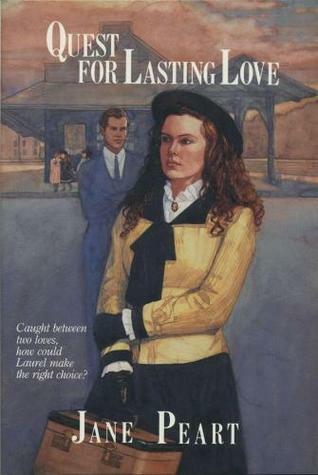 Laurel ends up on an Orphan Train and plots with her two friends to all end up at the last stop together. There she is adopted by the town Dr. The Dr and his wife had lost a child a few years before and his wife is in a deep depression. This is how the story begins. Very good read and I'd recommend it to anyone! I'm going to look up the other two books in the series. I was talking about the whole Orphan Train subject at work in the lunch room one day and a co worker said that she is pretty sure her great grandmother was on one. She's been trying to find the evidence somewhere but she's pretty sure. 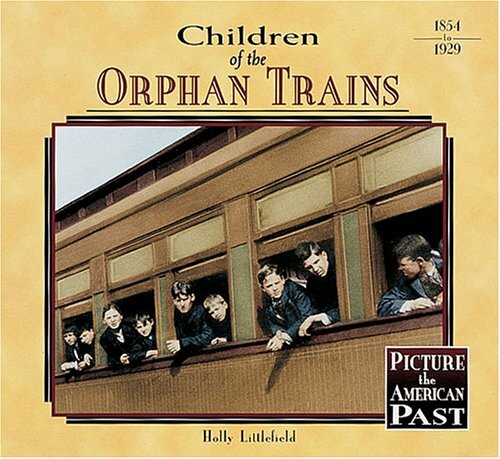 Had you ever heard of the Orphan Trains? I'm pretty sure that part is skipped over in our American history classes. So much info and so little time, you know? I swear the older I get the more interesting things I learn about our country and what has went on here. Why couldn't things have been so interesting back in my school days? wow, I've never heard of the Orphan trains! I'm off to search for those books! I got White Oleander and My Heart Remembers today :-) WO is good so far!